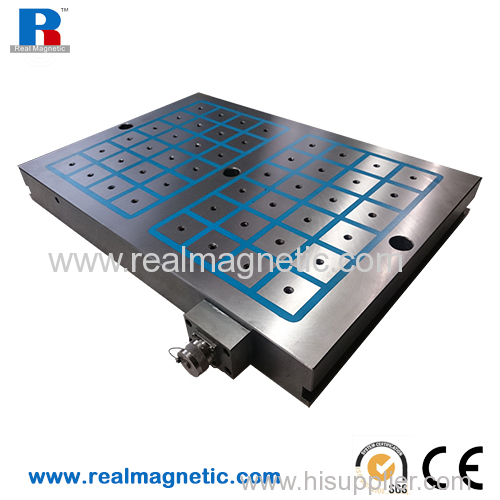 Electro permanent magnetic chuck is a new clamping tool for cnc machine and milling machine. 5-side processing is available for EP chuck. 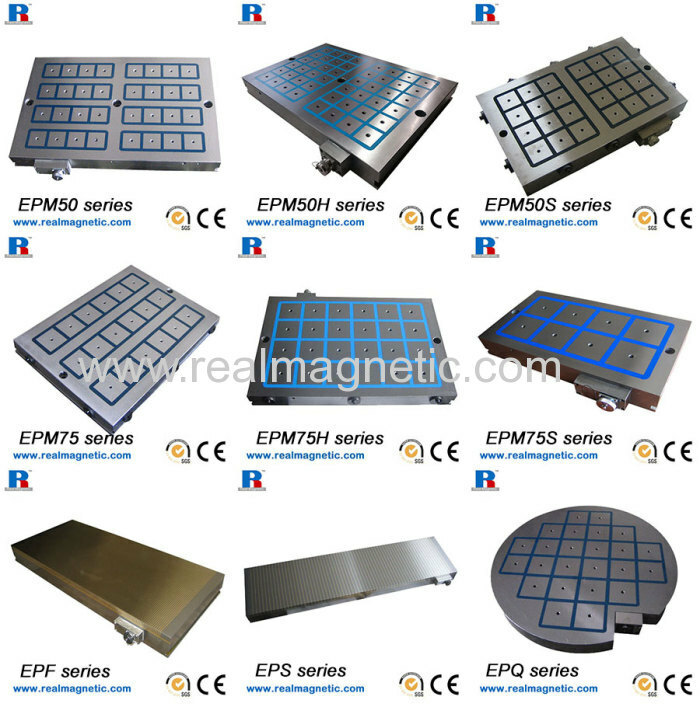 Electro permanent magnetic chucks are widely used in milling and grinding machines. 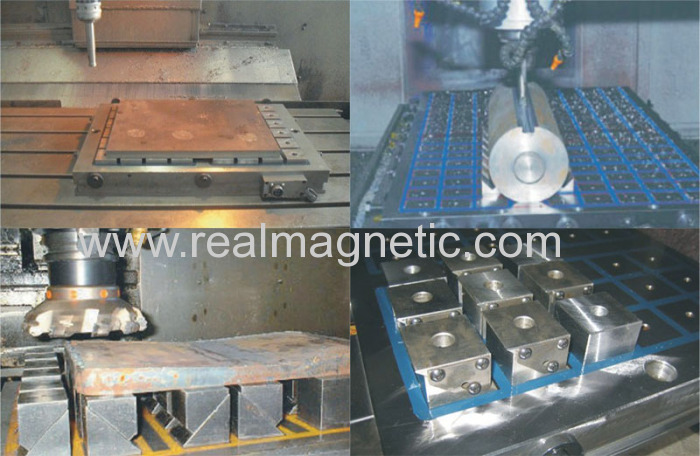 This is an new clamping tools comparing with traditional machinery tools. 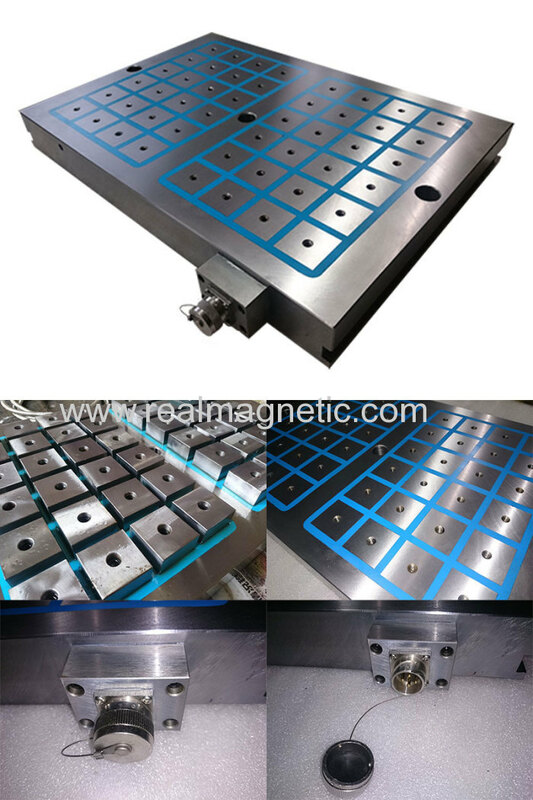 The EPM double magnetic system contains a series of independent square poles in a chess board arrangement and could alternate N/S. 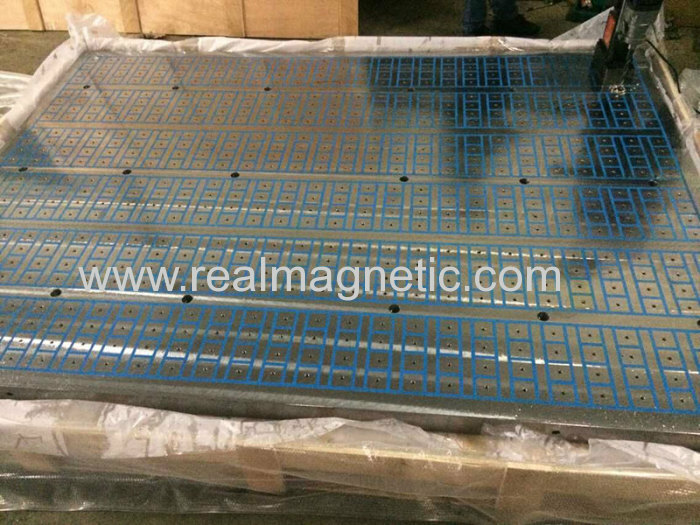 The special structure makes it capable to generate a high concerntrated force through a mesh of multiple magnetic seams that permit the magnetic flux to circulate in a horizontal and flat field. 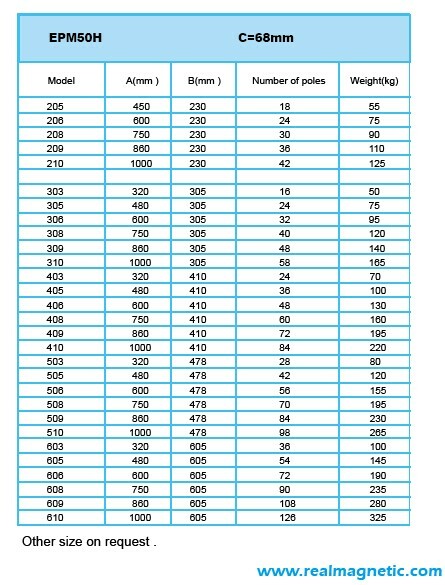 For milling and grinding processes. Best suited for workpieces at least 250x250mm and 10mm thick, also with limited thickness and normal operating air gaps.